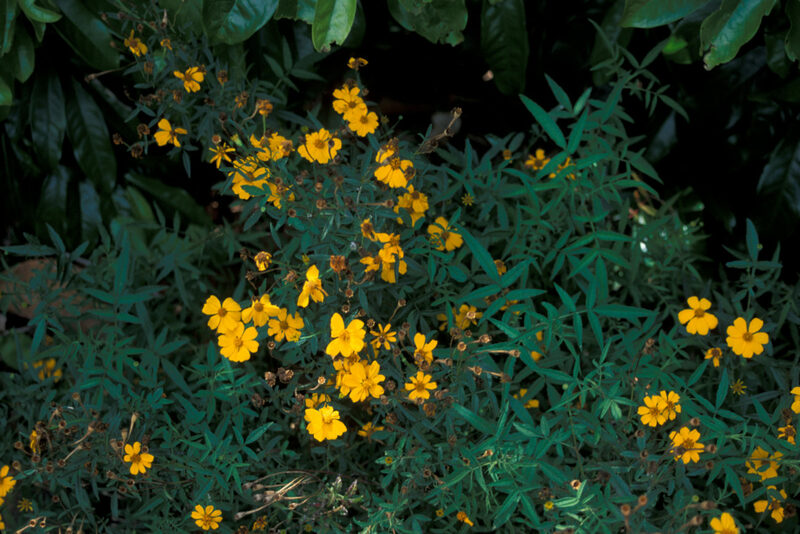 A shrubby perennial with finely divided leaves that grows 3-6 ft. tall and wide. 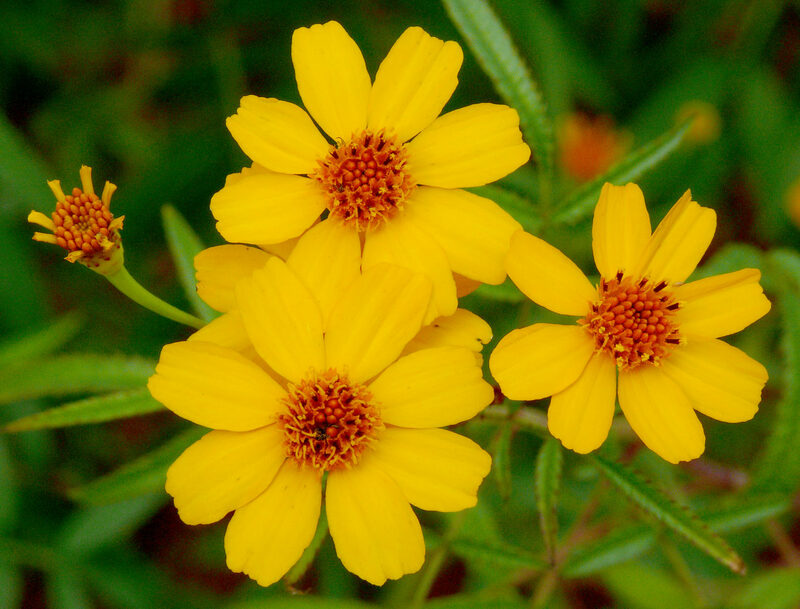 Leaves are strongly fragrant when brushed up against or rubbed and smell like a blend of marigold, mint, and lemon. 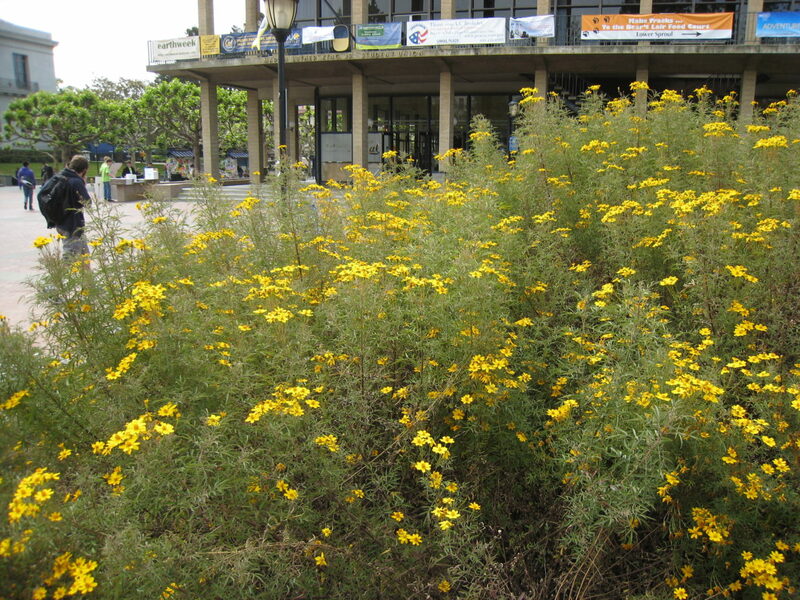 Golden orange flowers bloom in winter and spring. Cut back to remove damaged growth and to correct its shape. 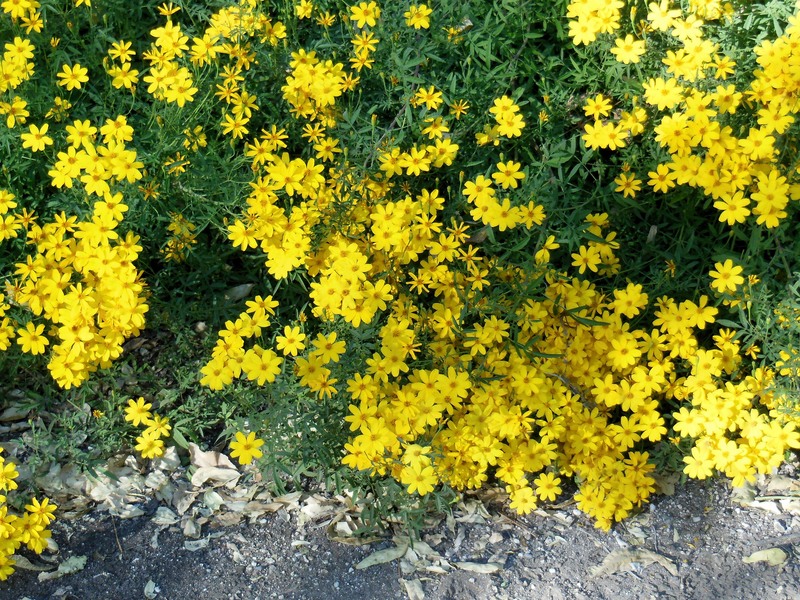 Be cautious when pruning as the oils from the plant may cause skin irritation. Tends to be short-lived. Deer will not eat it. 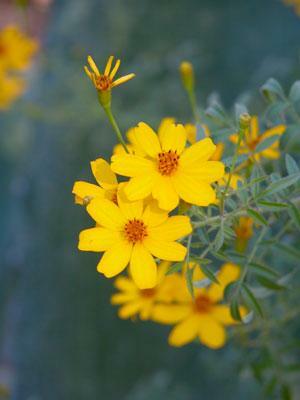 Plant in sun or part-shade in well drained soil. Looks best with a little irrigation, but too much water will produce a leggy plant. 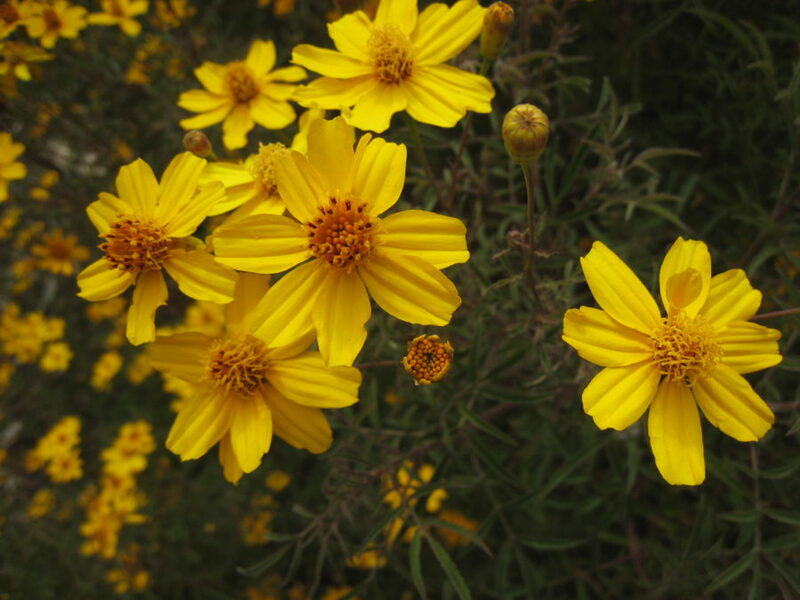 Native to southern Arizona and into northern Mexico.